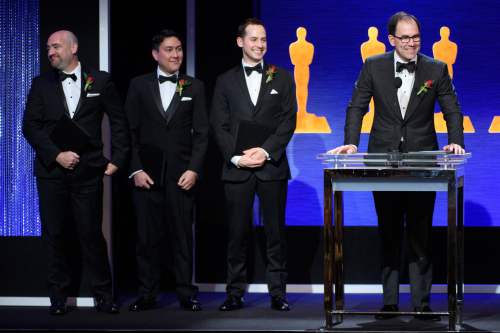 The Academy of Motion Picture Arts and Sciences (AMPAS) honored PIX, the entertainment industry leader in delivering secure communication and content management capabilities, with a Technical Achievement Award for the PIX System at its annual Scientific and Technical Awards Presentation, on Saturday, February 9, 2019, at the Beverly Wilshire in Beverly Hills. PIX was introduced to the market in 2003, quickly becoming the industry’s most trusted and widely used secure communication and content management solution provider. The PIX System enables creative continuity and reduces project risk by ensuring that ideas are accurately shared, stored, and preserved throughout the entire production process. 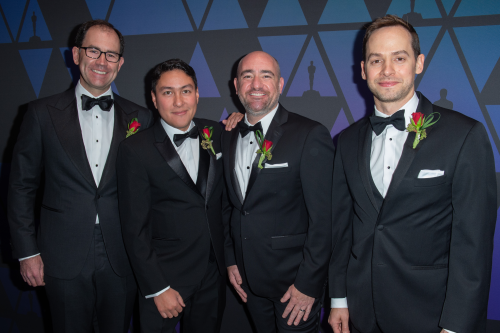 The award recognizes Eric Dachs, Founder and CEO; Erik Bielefeldt, Director of R&D; Craig Wood, Technical Director and Paul McReynolds for the design and development of the industry leading security mechanism for distributing media. With its highly upgradeable system architecture, PIX has evolved to keep pace with the industry's rapidly changing needs. All of the technological advancements and client workflow expansion have been backed by its industry leading support model that stays ahead of client needs. PIX’s robust approach to secure media access has enabled wide industry adoption, delivering a proven record of contributing significant value to studios including Paramount Pictures, Sony Pictures, Universal Pictures, Walt Disney Studios, Warner Bros. Pictures and streaming service providers Amazon and Netflix, among others.